A major bridal designer devastated thousands of women by closing its doors with no notice last week. 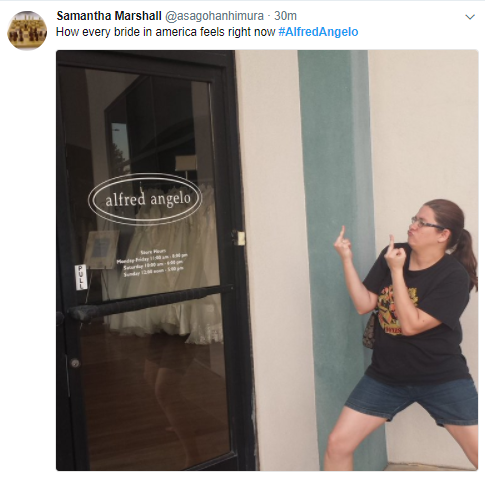 Hundreds of women rushed to their local Alfred Angelo Bridal in the slightest hope they could actually pick up their already paid-for gowns, altered or not. Some brides were lucky, but more were not. And hundreds were left with wedding party orders partially fulfilled, or gone altogether. Other businesses and brides are stepping up to the plate in the wake of what easily be called the biggest wedding dress disaster this industry has ever seen.